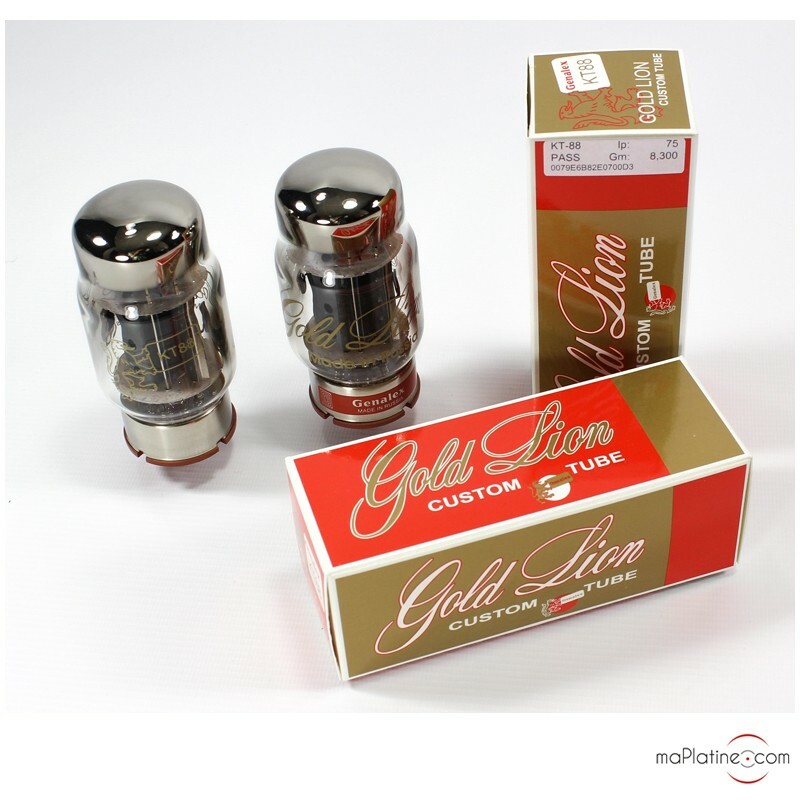 A tested and paired pair of KT88 Gold Lion tubes. 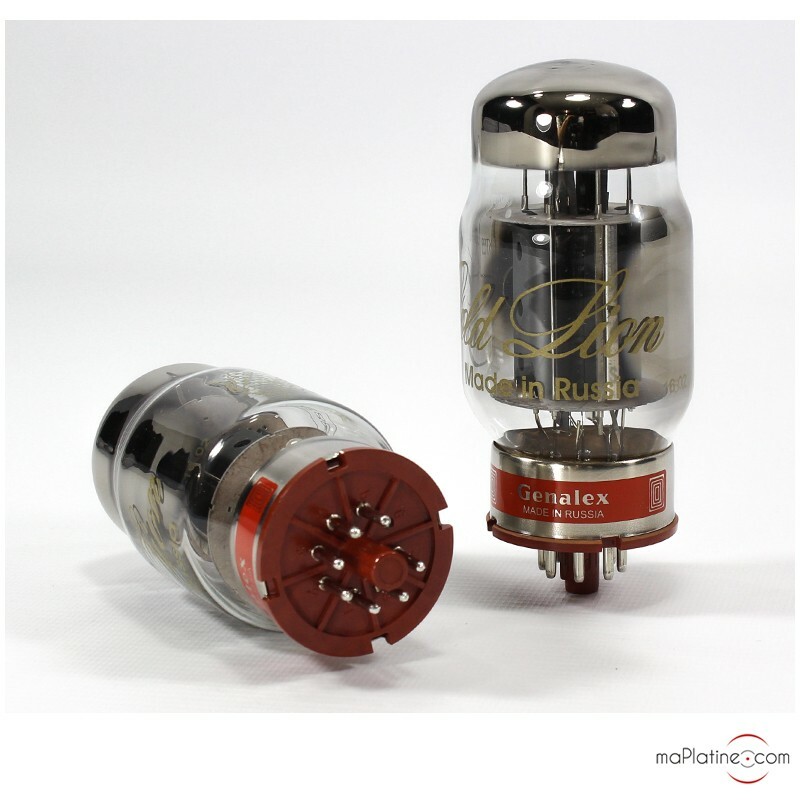 In 1957 Marconi Osram Valve Co. (Genalex) marketed the legendary tube, the 'KT88 Gold Lion'. This tube gradually became the heart and soul of Dynaco MK3 and McIntosh MC275, among others. Genalex unfortunately discontinued production in 1980. In the following years, this KT88 became scarce and hence very expensive… Currently, New Sensor Corporation is re-releasing the famous KT 88 Gold Lion Genalex in every detail. It is produced in Saratov, Russia, and features a gold-plated grid wire, carbonised screen grids and a tri-alloy clad plate structure. Its performances live up to the resources used. The sound is full-bodied and warm with beautiful mids and bass with outstanding depth and persistence. Certainly the best KT88 tube currently in production.